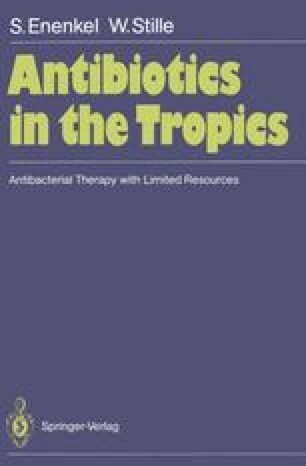 The treatment schedule laid down by the WHO Scientific Group on Treponemal Infections in 1980  applies to all of the three nonvenereal treponematoses, yaws, endemic syphilis, and pinta (Table 31.1). Doses of benzathine penicillin higher than those suggested by WHO were used in the antiyaws campaign in Ghana. Adults received 2.4 megaunits (MU), children less 15 years old were given 1.2 MU and those less than 6 years old received 0.3 MU .